The heat wave in the country intensifies with each passing year. This leads to a crisis like situation in many parts of the country especially during the summer seasons. The United Nations has already made a call for global action on drought. This year too, citizens across India have had to face severe drought like conditions. The problem has been especially severe in Maharashtra where even companies came forward to help. 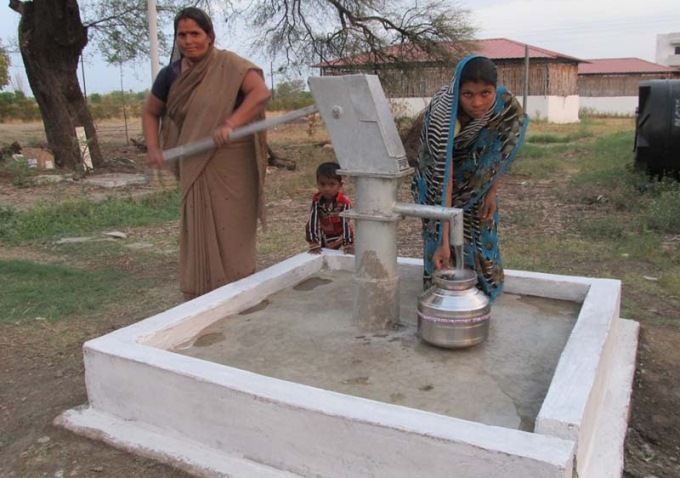 In order to address this challenge, Believers Church Nagpur ,a Christian denomination with congregations and parishes worldwide, has set up 101 bore wells across Maharashtra for the worst affected areas and communities. Water is a basic human right and requirement of every individual. Seeing religious institutions like churches coming forward is both welcome and the need of the hour. “The installation of Bore Wells will not only make their lives easier but also help them in carrying on with cultivation which is their sole means of livelihood,” he added. The areas for installing the bore wells were carefully decided after assessing the severity of water scarcity in various regions of the state in consultation with the local authorities. “In some cases local politicians came forward and sought intervention. For example we have installed 25 bore wells in Amaravati and Yavatmal areas of Vidharba Region after receiving a request from the local MLA Sh. Bacchu Kadu,” Bishop B K Lukose informed. Other bore wells were installed in more than 101 villages of Maharashtra in various districts like Chandrapur, Wardha, Nagpur, Gadchiroli and Bhandara. Last month the Mumbai division of the church reached out to the drought victims of Latur by supplying water and food to the 12 most affected villages of the region. Earlier this month, the Church had also installed hand pumps and tube wells in more than 104 drought affected villages in Uttar Pradesh.